At its peak in 2007, investment reached 63.1 billion euros and represented 27 percent of Greek GDP. In 2014, the last full year for which data is available, it was a mere 21.7 billion euros and just 12 percent of GDP. According to the latest estimates for 2015, the figure is expected to fall by another 10 percent. The scale and degree of acceleration in the drop of investments during the crisis is apparent when compared to consumption. 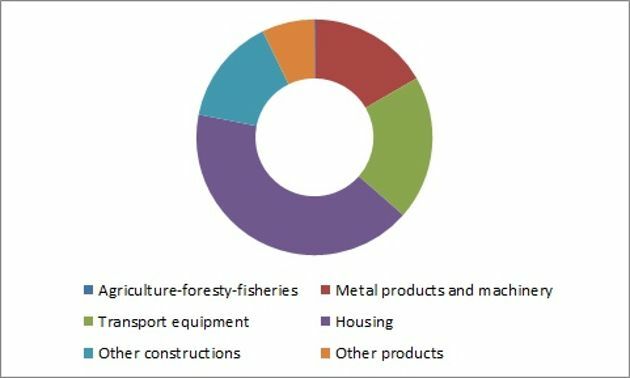 Although consumption lost approximately 57 billion between 2009 and 2014 (37 billion from household consumption and 20 billion from government spending) it still represents circa 90 percent of GDP in 2014 from 91 percent in 2009. Household consumption is still in the region of 68 percent of GDP from 66 percent in 2009. 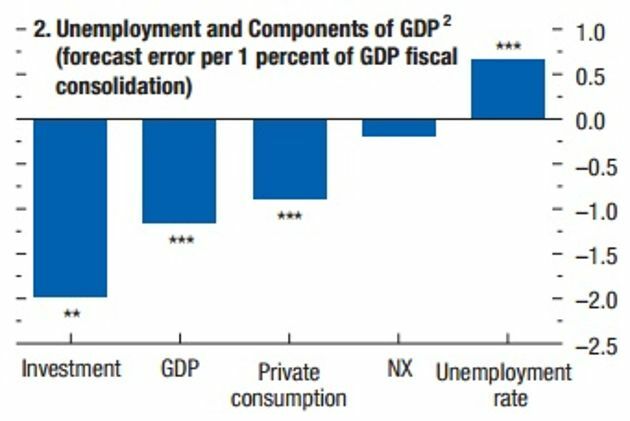 The highly sensitive relationship between investment and the multiplying effect they have on the economy was captured in the famous research conducted by the IMF’s Olivier Blanchard and Daniel Leigh on fiscal multipliers, in which they found that out of all the GDP components, investments had the highest forecast error of 2 percentage points. 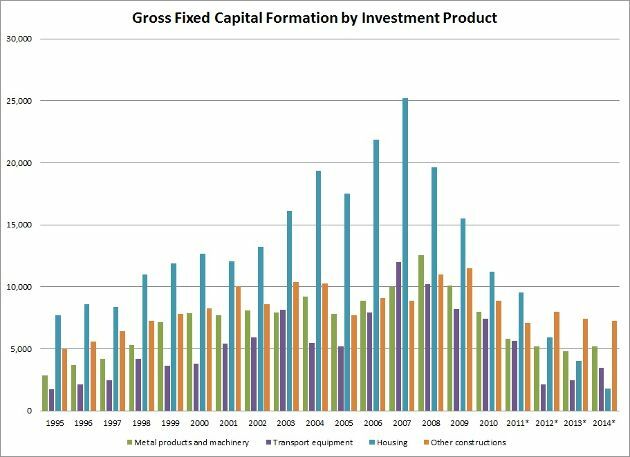 The composition of fixed gross capital formation by investment product in 2007, when they peaked, was dominated by housing at 25.2 billion euros, which represented more than 41 percent of the total. At 8.9 billion euros, other construction was just shy of 15 percent of the total, with the combined construction-related investment reaching a total that exceeded 34 billion, dominating the investment space with 56 percent. 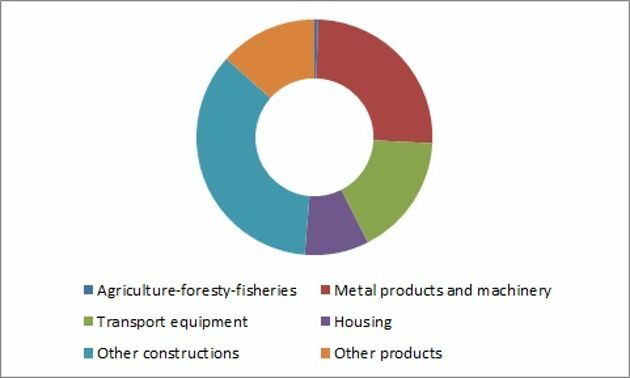 Investment in transport equipment was just below 12 billion euros, almost 20 percent of total, while metal products and machinery at circa 10 billion were a sizeable 16.5 percent of total investment spending. The depression that the economy has experienced since has altered both the composition and the scale of investments. Housing has effectively evaporated, totaling only 1.8 billion euros in 2014, a nosedive of 93 percent. Investment in housing now represents a mere 9 percent of total investment spending. Other construction also had a significant drop of 30 percent since its 2003 peak of 10.4 billion. It stood at 7.3 billion euros, down by 18 percent since 2007. However, it now holds a much bigger chunk of the total, with around 35 percent. 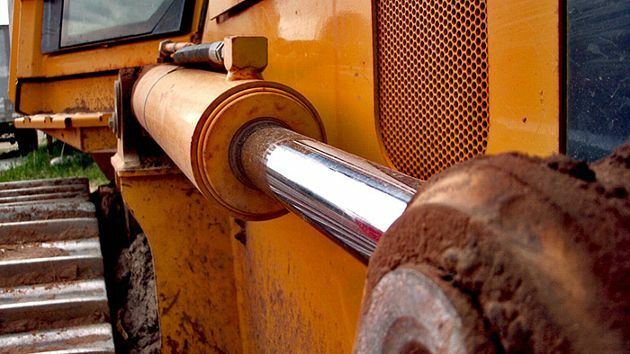 Transport equipment is the second-largest casualty with a drop of 71 percent since the 2007 high, with just 3.4 billion spent. Its share is down from 20 percent to almost 17 percent of the total. Metals products and machinery are also badly impacted, having sharply fallen by 59 percent since their 2008 high, from 12.6 billion to 5.2 billion euros. They now represent a quarter of total investment spending. 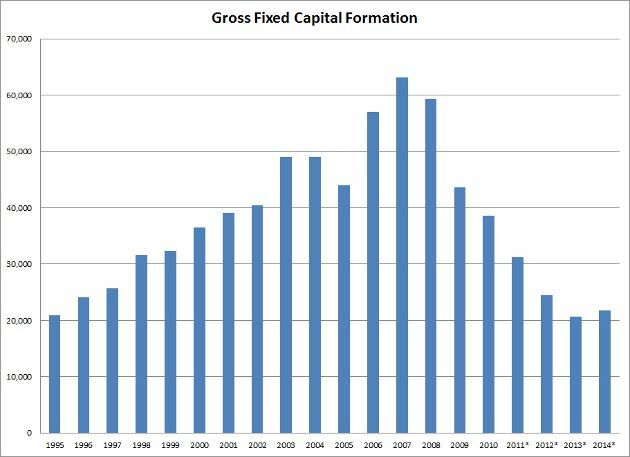 In total, the 21.7 billion euros of capital formation in 2014 reflect a rapid decline of 65.6 percent. It is the clearest indication that firms’ investment capacity and decisions were heavily impacted by the deep and extensive austerity which hit incomes and demand; the absence of a functioning banking system which led to a collapse of credit; and the ongoing uncertainty around the country’s place in the Eurozone that posed a huge redenomination risk. The data does not even capture 2015, when Grexit was officially put on the table by Germany as a solution to the ongoing Greek problem. This underlines that despite the dramatics and the set-backs of the first part of SYRIZA’s administration, the wounds in the Greek economy are deep and preceded the amateurish handling of the negotiations last year. What is alarming in connection to SYRIZA is that it should be focused on recovering the lost ground as far as investment is concerned if any economic recovery is to take hold. But so far ideological sclerosis and a general aversion to private initiative seems to inhibit the government from creating an environment that will be attractive to investors. It is in this space that the battle for the economy, and the government’s future, will be decided. Greeks and the Greek press have some weird definitions of what constitutes an investment, due mainly to lack of financial sophistication and total alienation from the rules and definitions of the global investment game. For example, they consider a long term lease on Greek airports won by an unsophisticated german group called Fraport an "investment". Clearly a long term lease which reverts assets back to the state is not an investment. It can only be classified as a short term cash flow generator by an incompetent state which lacks the sophistication and know-how to turn aging state assets into profitable sustaining long term outperformance generators. Bottom line: selling ports, trains and airports to outsiders for cash could hardly be called an investment. These are asset fire sales because the Greek state is compelled to do so. Nothing to do with healthy investments by international standards. Therefore this unsophisticated talk about "attracting investments" in Greece has to stop because it has nothing to do with investments.